southern orders : WHAT ABOUT CARDINAL SARAH'S INPUT? DID HE KNOW THIS WAS COMING AND WHAT ARE HIS THOUGHTS? WHAT ABOUT CARDINAL SARAH'S INPUT? DID HE KNOW THIS WAS COMING AND WHAT ARE HIS THOUGHTS? 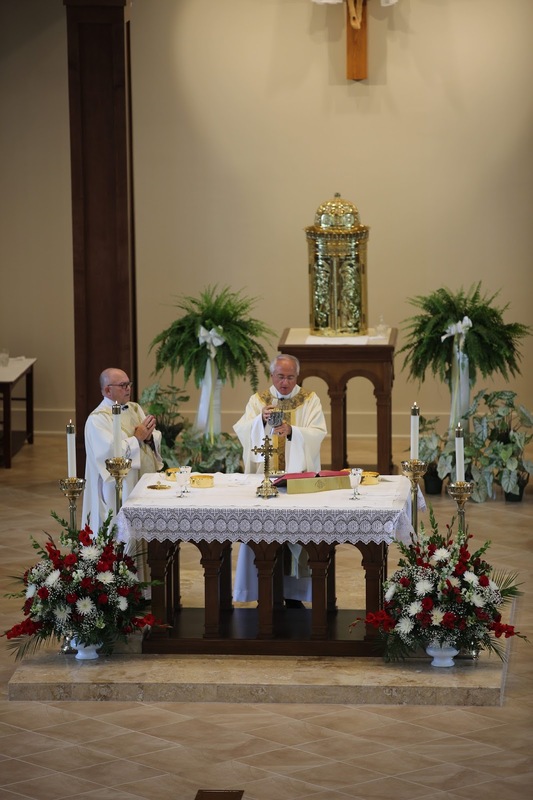 Rorate Caeli has more of the translation of Pope Francis' talk on the liturgy today. Praytell also has an interesting comment on it which has always been my position as there is no way that the Church would say that an Ecumenical Council was wrong, undo it, that Sacrosanctum Concilium was wrong, undo it, or that papal promulgation of the most authoritative types were wrong so let's undo it. Pope Benedict never endorsed such a thing either. In his remarks declaring that the reform is “irreversible,” Francis seems to be signaling a couple of things. He is dubious about any restorationist “reform of the reform.” While some elements of the liturgy that were abandoned in the course of the reforms of the 1960s might be reintroduced (e.g. 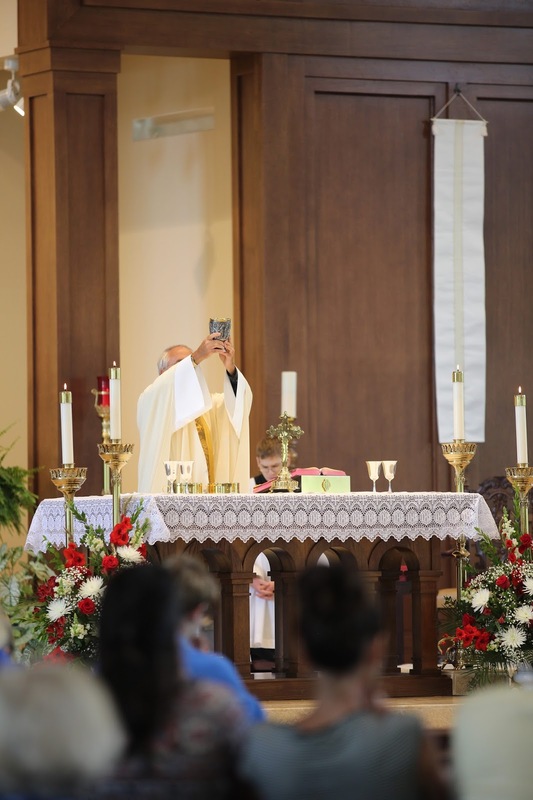 the way the Pentecost Vigil was restored in RMIII), there will be no wholesale movement toward something resembling the Mass of the 1962 Missal (as some “traditionalist” liturgists might hope). The work of liturgical reform is ongoing. But Francis does not seem to conceive of this work in terms of more ritual revision (as some “progressive” liturgists might hope), but rather of continued internalizing the reforms of 50 years ago. In general, Francis seems to think that we don’t need more “reform” of our liturgies, but rather the on-going reform of the assemblies that celebrate those liturgies. As he says,“it is not enough to reform the liturgical books; the mentality of the people must be reformed as well.” Furthermore, the direction of that reform should be in continuity with the direction set in Sacrosanctum Concillium. Among the visible signs of the invisible Mystery there is the altar, a sign of Christ, the living stone, rejected by men but it has become a cornerstone of the spiritual building where worship is offered to the living God in spirit and truth (cf. 1 Pt 2.4; Eph 2:20). Therefore, the altar, at the center toward which our churches converge,  is dedicated, with chrysm, incensed, kissed, venerated: towards the altar, the eyes of those praying, the priests and the faithful, are called together by the holy assembly around it [the altar];  Upon the altar is placed the Church's offering, which the Spirit consecrates to be a sacrament of the sacrifice of Christ; from the altar the bread of life and the cup of salvation are bestowed upon us "for we become one body and one spirit in Christ" (Eucharistic Prayer III). "The pope’s attention is drawn today once more to a particular point of the Church’s life: the indisputably beneficial fruits of the liturgical reform. Since the promulgation of the conciliar Constitution Sacrosanctum Concilium great progress has taken place, progress that responds to the premises laid down by the liturgical movement of the last part of the nineteenth century. It has fulfilled that movement’s deep aspirations for which so many churchmen and scholars have worked and prayed. The new Rite of the Mass, promulgated by Us after long and painstaking preparation by the competent bodies, and into which there have been introduced-side by side with the Roman Canon, which remains substantially unchanged, other Eucharistic Prayers, has borne blessed fruits. These include a greater participation in the liturgical action, a more lively awareness of the sacred action, a greater and wider knowledge of the inexhaustible treasures of Sacred Scripture and an increase of a sense of community in the Church. The course of these recent years shows that we are on the right path. But unfortunately, in spite of vast preponderance of the healthy and good forces of the clergy and the faithful, abuses have been committed and liberties have been taken in applying the liturgical reform. The time has now come definitely to leave aside divisive ferments, which are equally pernicious on both sides, and to apply fully, in accordance with the correct criteria that inspired it, the reform approved by Us in application of the wishes of the Council." (Alloc . Gratias ex animo, June 27, 1977: Teachings of Paul VI, XV , 655-656, in Italian 662-663). 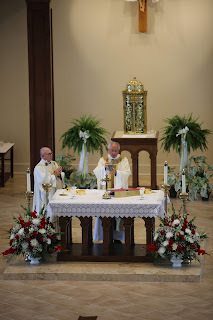 "Around this altar, we are nourished by the body and blood of your Son to form your one and holy Church" (Rite of the Dedication of an Altar, n. 213, Preface). Good question. First of all, I think this is the most Pope Francis has ever said about the Roman liturgy. Second, I think Cardinal Sarah would agree that the 20th century reform was needed, and that the reforms do need to be internalized. I doubt, however, that Francis bothered to discuss any of this with Sarah. As for the liturgical books, even the ones issued after Trent were repeatedly updated in minor ways, so surely the Holy Father does not think the 2002 missal is definitive. Even if he does, he can hardly claim that a particular missal is divinely inspired. At any rate, SC does mandate both Latin and Gregorian Chant, so perhaps the process of internalization must include congregational openness to these elements. It made me chuckle a bit when I read that Rorate said that this was like Quo Primum for the Novus Ordo . . .
Liturgists (and by this I mean genuine liturgical scholars) do not believe it is possible or desirable to implement a ROTR which would synthesize the Missal of 1962 (which is essentially the Tridentine Rite) with that of 1970. What would we end up with? It would be closer to 1967 than 1964. Another factor is that the number of options in the Novus Ordo means we are not dealing with a single rite, but what is in effect a multiplicity of rites under the same umbrella, made even more diverse by the babel of vulgar tongues wherein these rites are delivered. The principal and massively popular Sunday Mass at the London Oratory is according to the Novus Ordo. It is sung in Latin, with deacon and subdeacon, ad apsidem at the high altar (the church is oriented north-south). The introductory rite is, as far as I know, unique. The Asperges is part of the entrance procession and is followed by the older prayers, beginning 'Ostende nobis Domine ...', which are chanted facing the people. The ministers then ascend to the altar, venerate it and incense it while the choir sings the Introit. The Kyrie follows immediately. The first reading is done by a cleric in choir dress (usually the MC) and the epistle and gospel by the subdeacon and deacon. They are said in English, but on major feasts the gospel is sung in Latin. The interlectionary chants are from the Graduale Romanum. Credo III is sung alternatim by choir and congregation. There is no offertory procession or sign of peace. Communion is received in one kind, kneeling, and the vast majority receive on the tongue. The concluding rites are done at the altar, not from the sedilia. Nowadays the Roman Canon is invariably used; in the past EP III was occasionally heard (but in Latin, of course). ROTR? Not a bit of it. When the NO came in the fathers had to reconcile it with the Oratory's famed liturgical and musical traditions, and they succeeded admirably. One important principle was the retention of Latin for all solemn services, which makes (say) the Easter Vigil a sublime and uplifting experience. Perhaps Pope Francis is implying that the liturgical reform is not only irreversible, but also irreformable. DID SOMETHING GO WRONG AFTER VATICAN II? DUH! FROM THE JUST TOO COOL 😎 FILE! AN ACTION PHOTOGRAPH OF ME AT WORK! I ALMOST FORGOT: BE THERE OR BE SQUARE! FROM CRUX--ALL I CAN SAY IS YIKES! THIS IS FROM THE LITURGY GUY!